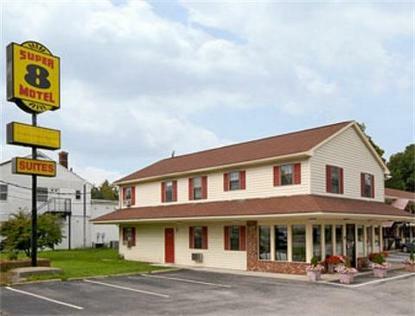 The Super 8 N. Attleboro, MA/Providence, RI area is located in the heart of New England with easy access to Boston, Cape Cod and Newport, RI. There are many educational facilities within a 17 mile radius of the motel such as Brown University, Providence College, Bryant College, Wheaton College and the Rhode Island School of Design. The Emerald Square Mall is less than a mile away and Wretham Outlets is just a short 10 minute drive. We also have many museums, hospitals and entertainment venues in the area. We provide free high speed wireless internet access, complimentary SuperStart breakfast, and free local calls. Our spacious guest rooms feature cable TV with free HBO, hair dryers and AM/FM alarm clock radios. Enjoy one of our Family Rooms or Single Suites equipped with microwaves and refrigerators. The friendly professional staff at the Super 8 is here to serve you 24 hours a day.